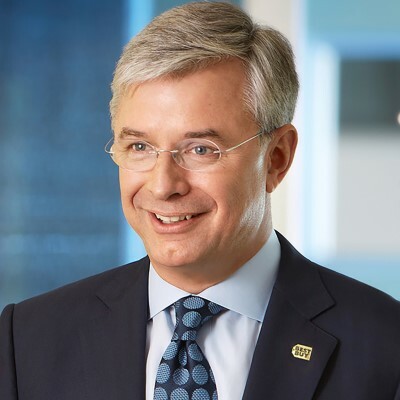 Mr. Joly joined Best Buy in 2012 and led the company through its much-publicized Renew Blue transformation. The customer-focused strategy resulted in improved customer satisfaction and employee engagement, as well as revenue growth, increased profitability and market share gains. Now, Mr. Joly is leading Best Buy into its next phase, Best Buy 2020: Building the New Blue., which is driven by a clear purpose to enrich lives through technology. The company seeks to do this by expanding the range of products and services it sells and evolving how it sells them. Prior to joining Best Buy, Mr. Joly was CEO of Carlson, a global hospitality, and travel company. Before that, he led Carlson Wagonlit Travel, Vivendi Universal Games and Electronic Data Systems’ business in France. In 2017, he was awarded the Legion of Honor, France’s highest civilian distinction.